The non-profit foundation EFF has partnered with big and reputed companies including Mozilla, Cisco, and Akamai to offer free HTTPS/SSL certificates for those running servers on the internet at the beginning of 2015, in order to encourage people to encrypt users’ connections to their websites. Until now, switching web server over to HTTPS from HTTP is something of a hassle and expense for website operators and notoriously hard to install and maintain it. But, after the launch of this new free certificate authority (CA), called Let's Encrypt, it will be even more easy for people to run encrypted, secure HTTPS websites. 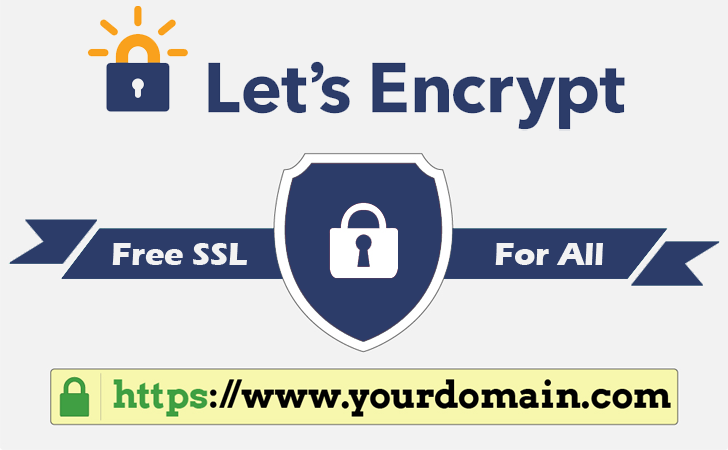 Let's Encrypt aims to provide not just free, but also an easier way to obtain and use a digital cryptographic certificates (TLS) to secure website, and it’s necessary for every site operator as certificates provide a digital mechanism to let a browser trust a Web server's encryption. "Let’s Encrypt is a new free certificate authority, built on a foundation of cooperation and openness, that lets everyone be up and running with basic server certificates for their domains through a simple one-click process," its official website explains. "For many server operators, getting even a basic server certificate is just too much of a hassle. The application process can be confusing. It usually costs money. It’s tricky to install correctly. It’s a pain to update." Let's Encrypt is a combined effort of Firefox browser maker Mozilla, network equipment maker Cisco Systems, Internet content distributor Akamai Technologies, digital-era rights advocate Electronic Frontier Foundation, certificate provider IdenTrust and researchers from the University of Michigan. Web Developers who want to test the service can go to GitHub, where its code is available publicly. One thing to note is that its is not yet meant for production servers, and if you ignore this warning, there are chances that your users will see lots of warnings about your certificate which will always keep hiding your site from your user. "This project should boost everyday data protection for almost everyone who uses the Internet," EFF Technology Projects Director Peter Eckersley said in a statement. "Right now when you use the Web, many of your communications—your user names, passwords, and browsing histories—are vulnerable to hackers and others. By making it easy, fast, and free for websites to install encryption for their users, we will all be safer online."